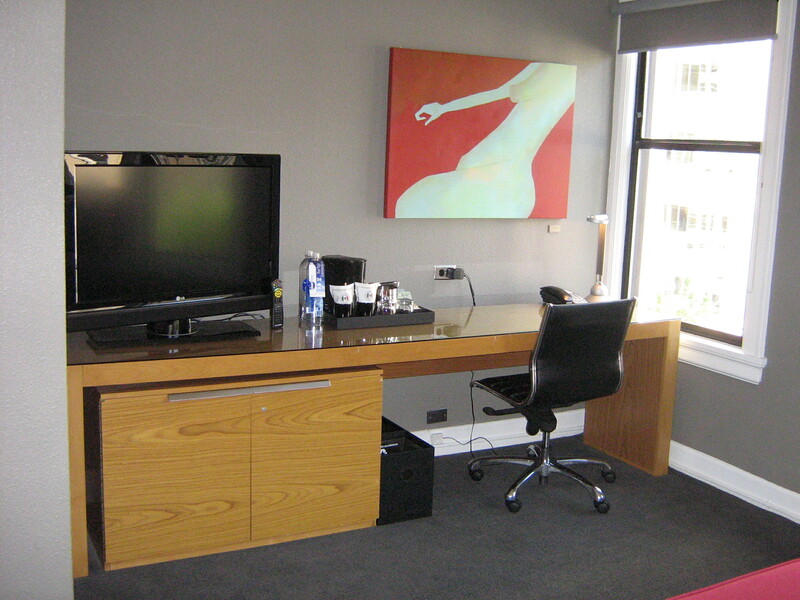 Hotel Max in Seattle, WA has the “wow” factor! When I travel to new cities I’m always looking for a unique experience something above and beyond what I would normally expect. 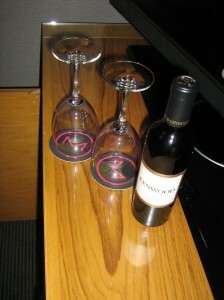 The Hotel Max answered that need in a big way. 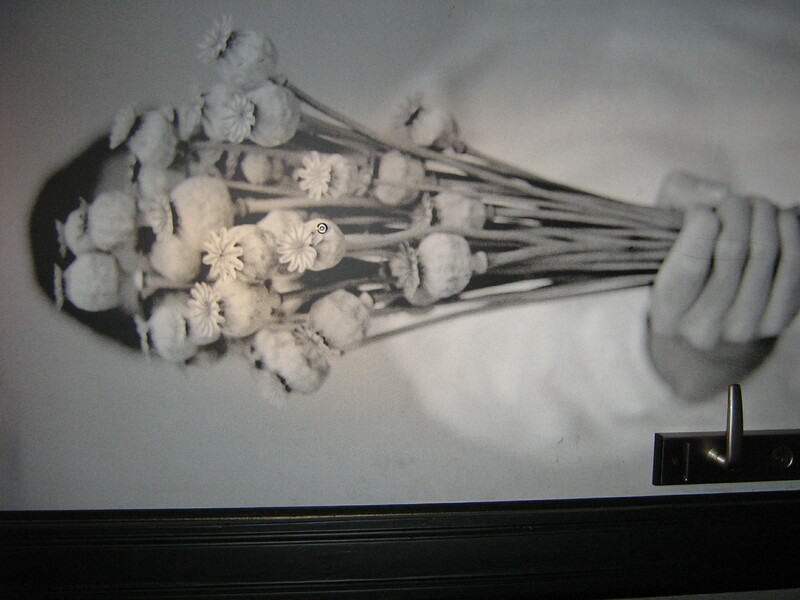 First, I arrived at the hotel at 10 am and the front desk was able to take my bags for me so that I could go out and explore downtown Seattle while they got my room ready for my return. After an amazing day of exploring Seattle and traveling out to Woodinville to taste wine, I was finally able to retreat back to my room. The room was absolutely amazing! First of all the bed….I truly had a hard time getting up in the morning and it wasn’t from a wine hangover! Truly one of the bests sleeps I have had in a long time. At Hotel Max, take advantage of the pillow menu–it has every pillow imaginable on it, reading pillows, thin and flat pillows, feather pillows, you name it! 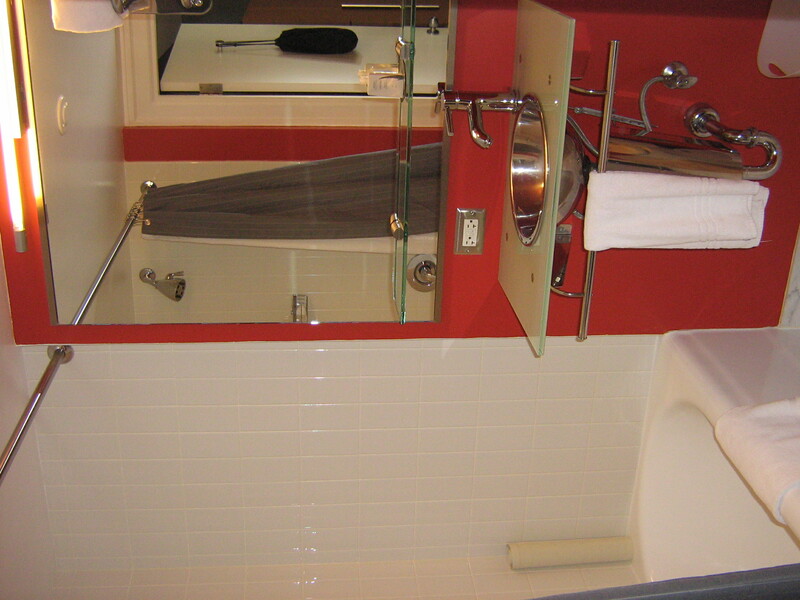 Loved the red, white and stainless contrasts in the bathroom. Views of the city were great. 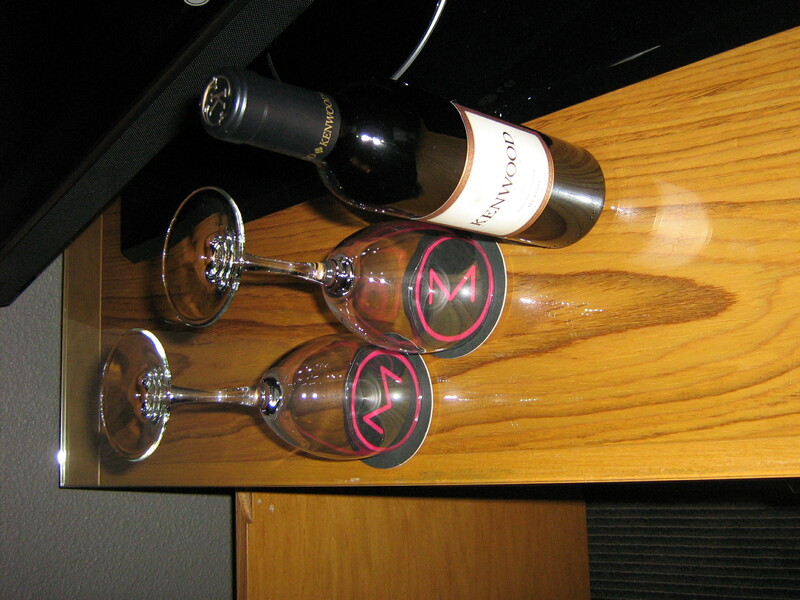 Definitely an adult playground right in your room…the mini bar goes beyond chocolate and nuts with the Hotel Max intimacy kit and a lovely half bottle of Kenwood Cabernet Sauvignon with proper wine glasses! 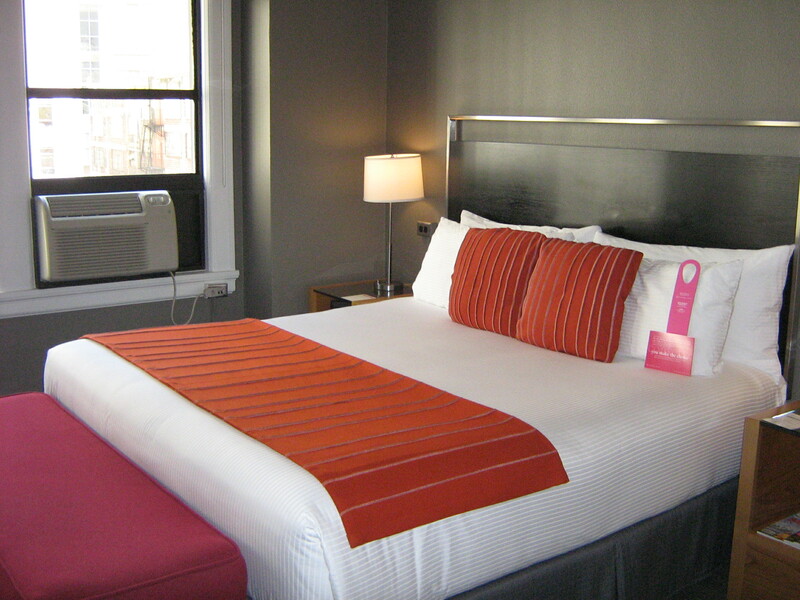 This hotel is great for couples or couples with kids that sleep soundly. 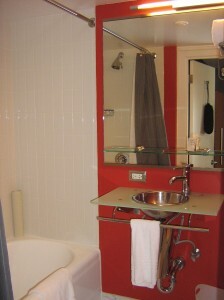 The hotel is in a great location in downtown Seattle with Pacific Place Mall a block away. 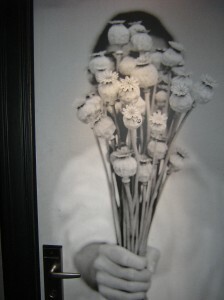 Great restaurants such as Palace Kitchen, cool wine bars, Top Pot Doughnuts and especially for the ladies check out Swink Style Bar located directly across the street. Everything you would expect at a first class hotel, great service, hospitality and room that gave me a great reason to get back to Seattle and the Hotel Max, tout suite! 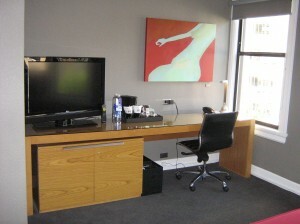 One Response to Hotel Max in Seattle, WA has the “wow” factor!